As we are coming up on spring many are thinking about getting more chicks and the question comes up about how to brood them. Many do not have a location with power to supply heat. I will describe what I did a couple of times now that did not require any supplemental heat. 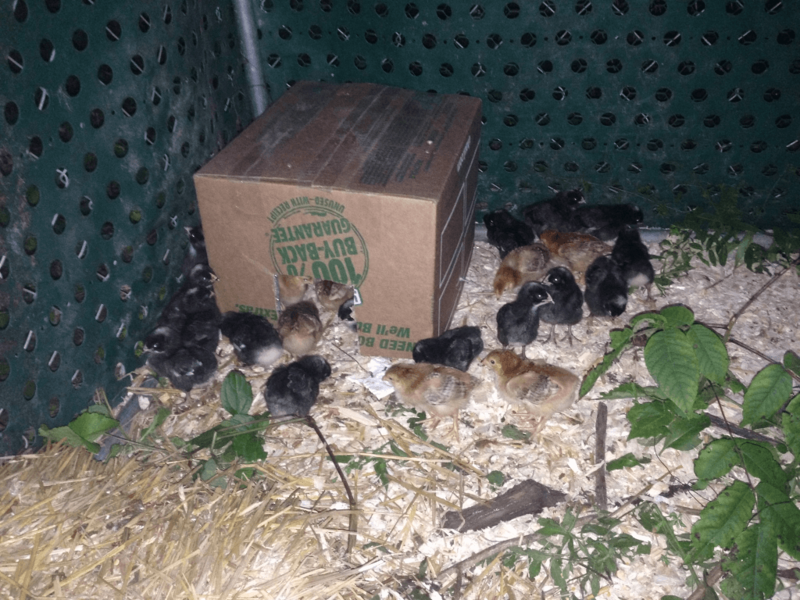 Of course I think it is important to say I waited until a little later in the spring and had more than 2 dozen chicks to keep each other warm. I used something called radiant insulating foil which looks like bubble wrap that has been coated with aluminium. This reflects the chicks body heat back at them and when you have enough to create a critical mass the chicks can keep themselves warm. The first time I used some straw pales to build a U shape and lined it with the foil and then used a sheet of OSB for the top, again with the radiant foil on the inside. At night or if they got cold they would all huddle under the foil and warm up. When they were too warm they would spread out a bit. The second time (top picture) I just lined the inside of a cardboard box with the radiant foil, but that was late spring. 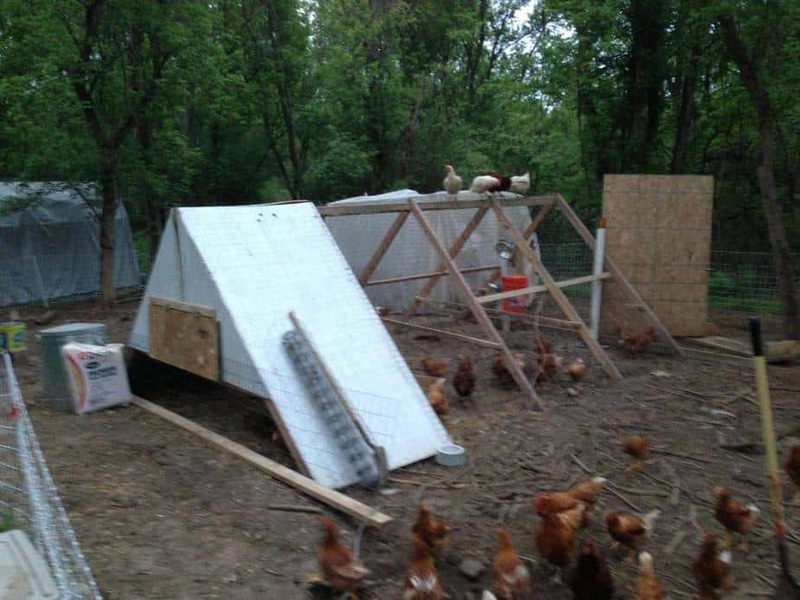 I haven’t lost any chicks with this process, but if you are doing this in very cold weather or only have a few chicks this may not work for you. 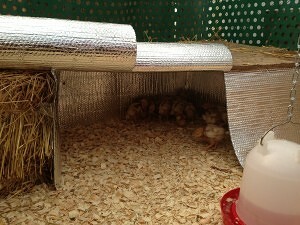 I first read about this in a post by Robert Plamondon and they have had success with this no-heat method of brooding. Since it makes my life simpler I decided to try to and have been happy. I need to build something more durable/permanent, but to date the quick and easy has always won out. If you want to see my son’s “chicken report” from March of 2013 that has the first time we did this, check out the video below.